The William IV in Truro has become the latest organisation in the UK to gain national recognition for its commitment to customer service, after being awarded WorldHost Recognised Business status. WorldHost is a world-class customer service training programme that has already been used to train nearly over 150,000 people in the UK, including tens of thousands of staff and volunteers for the London 2012 Olympic and Paralympic Games. WorldHost Recognised Business status is awarded to businesses that have trained 50% or more of their front line staff using any of the WorldHost training programmes and signed a commitment to delivering excellent customer service. “We are passionate about service standards and are incredibly proud to have achieved WorldHost Recognised Business status. 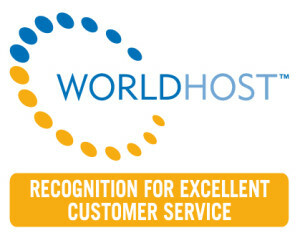 When our customers see the WorldHost logo displayed in our business, they’ll know that we have made a commitment to delivering an exceptional experience for them. 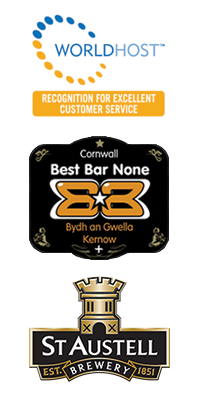 Not only does this generate a positive buzz about the service we offer, but it helps to promote Truro as a friendly and welcoming tourist destination.” – Ellie Pitt, Proprietor – The William IV Truro. WorldHost customer service training has been used to train over 150,000 people in the UK, including tens of thousands of volunteers and staff at the London 2012 Olympic Games and Paralympics, who were widely praised for the fantastic welcome they gave to visitors. Originally developed in Canada – widely recognised as the leading global destination for visitor welcome – and adapted for the UK market by the People 1st Training Company (www.people1sttraining.co.uk), the WorldHost programmes provide a gold standard in training for any business that relies on day-to-day interaction with customers for success. All WorldHost trainers are quality assured and are regularly tested to ensure they continue to deliver world-class customer service training.